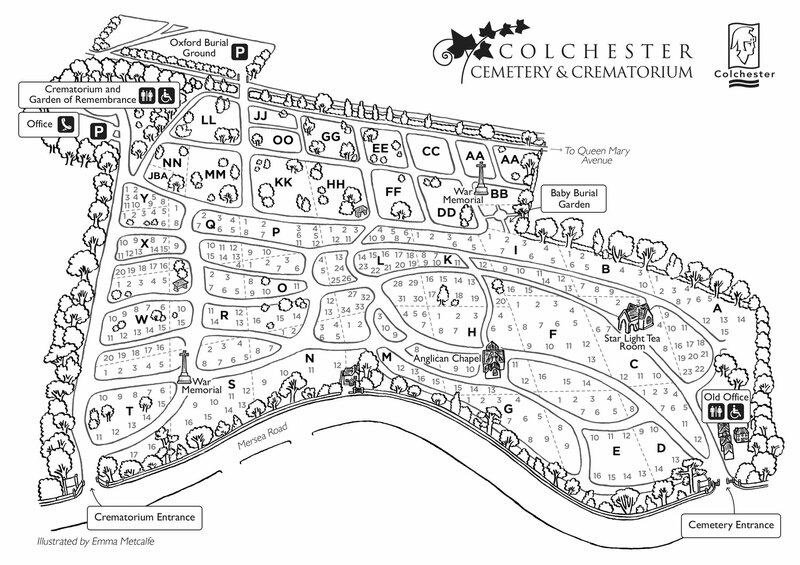 Here is my new visitor map for Colchester Cemetery. 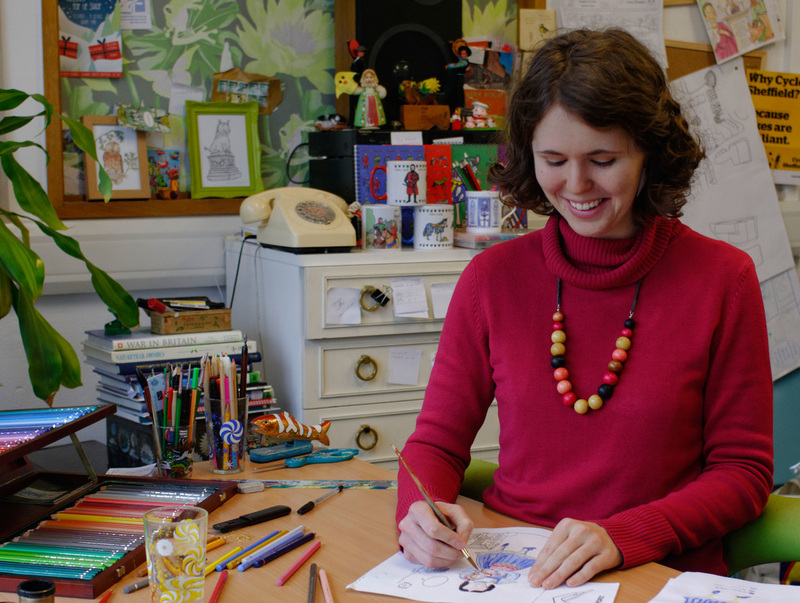 The client required a bespoke map which would appeal to both casual visitors walking in the area and also those making a special trip to visit the grave of a loved one. 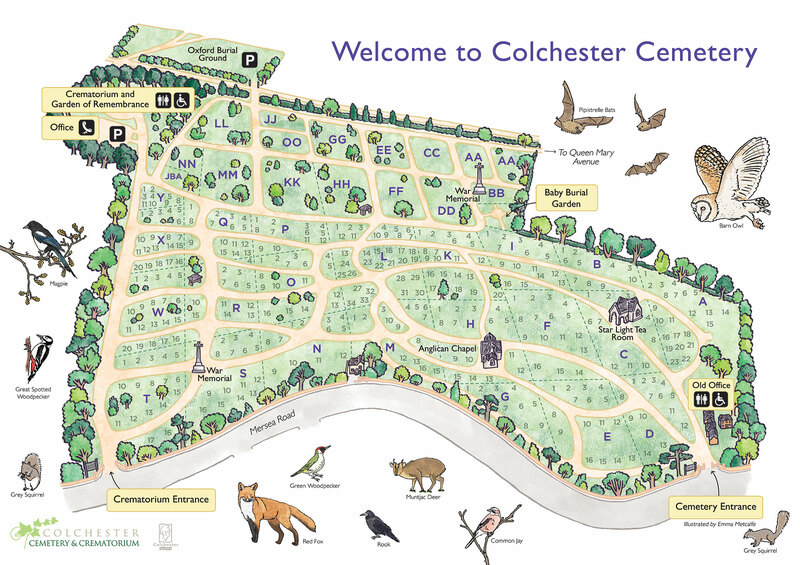 The map needed to be flexible enough to be used in a variety of ways – on large format A1 sign boards, as A4 visitor handouts and also on Colchester Borough Council’s website. The large format version includes a small selection of many wildlife species that live in the cemetery, including Mutjac deer, woodpeckers, bats and owls.